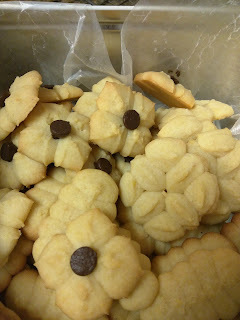 Spritz cookies (Spritzgebäck) are a holiday favourite - fancy butter cookies in delightful shapes. What they don't tell you is that they're cheap and easy to make. Forget the expensive tins of butter cookies - Make your own! 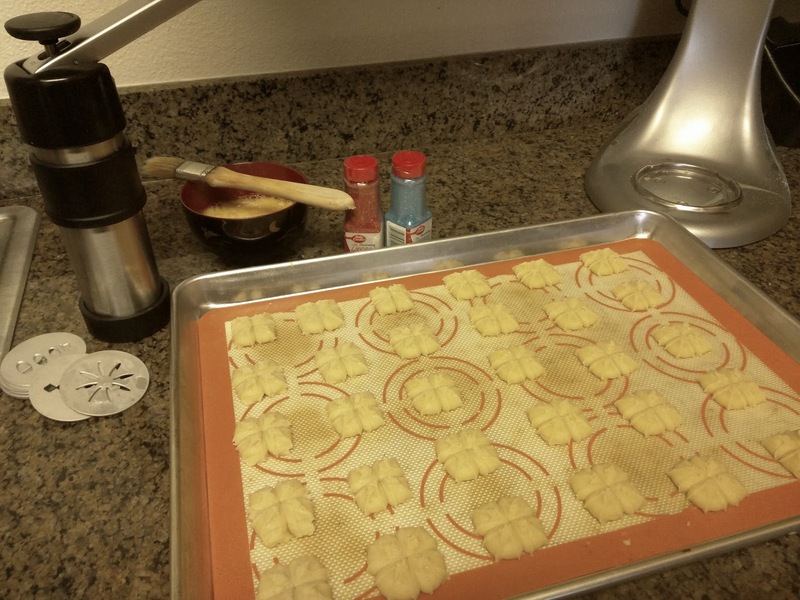 For a one time investment of $15 - $20 a cookie press turns out beautiful shapes and adds a little kitchen magic to your baking routine. You can even buy seasonal cutter discs to keep things fresh. Line a baking tray with paper or silicon then place your cookie press flat on the tray, pump the handle once to 'spritz' a cookie onto the tray. Some designs may require 2 pumps of the handle. Using a spatula carefully move these immediately to a cooling tray. The cookies are delicate while warm - never fear they will cool quickly and you can always eat any broken ones. 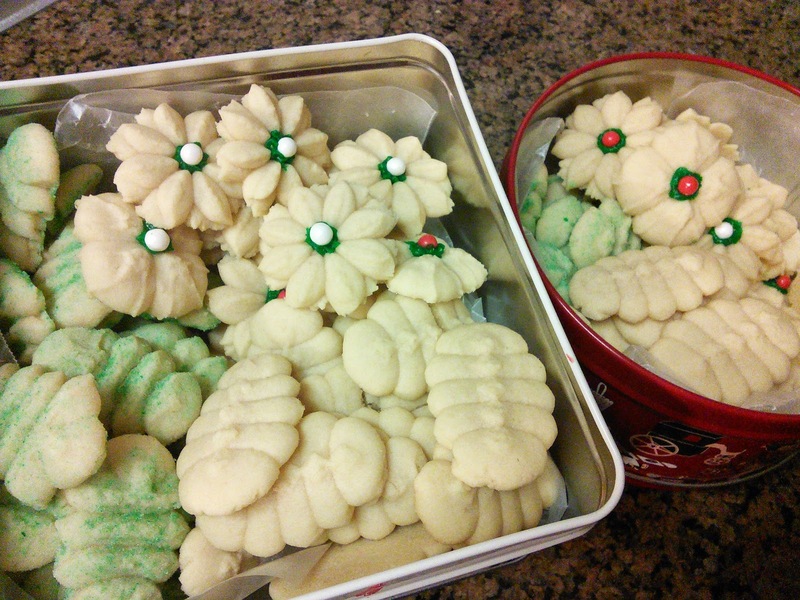 Once cooled move to an airtight container or line a cookie tin with paper - this will prevent the cookies going stale. This recipe should make 2 - 3 trays of small cookies. For the Christmas season I will usually make a double batch. Make sure to clear the bottom of the press before placing again on the tray, sometimes the pressure from the cookie press will cause dough to 'ooze' between cookies and mess up the shape.